2 year warranty. 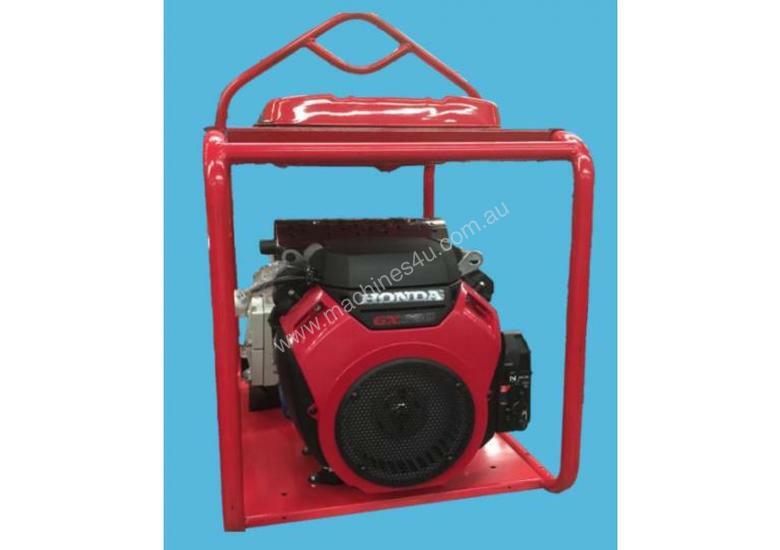 This range from Genelite proudly features the world-renowned Honda GX series of Engines.Genelite portable generators are assembeld in Australia using premium grade componentry. They are a popular and reliable brand for tough trade, commercial, rural and general backup power applications. Features of this engine include:Low oil protection Australia-wide service and parts support Heavy-duty Australian-made anti-vibration mounts Solid heavy-duty powder-coated frames Quality Italian-built high efficiency / low distortion alternatorsOverload protection 3 year engine warrantyRRP: $4,834Frequency50HzVoltage240VContinuous Output10000 WattskVA12Alternator TypeMecc AlteEngineHonda Twin GX630Engine Horsepower3000 RPMStarting MethodElectricFuel Tank Capacity25LCont. Working Time7hrs 60%Noise 7m75dbProduct Dimensions (mm) LxWxH860x500x570mmNet Weight (kg)130.0 KgOil Capacity1.9 LFuelUnleaded PetrolOutlets2 x 15AEngine Warranty3 year Engine WarrantyManufacturers Warranty2 year Generator & Alternator WarrantyNOTEThis is a portable air-cooled petrol generator designed for short term/standby applications. For prime/continuous power, a stationary water-cooled diesel generator is recommended.